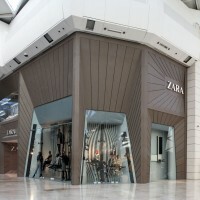 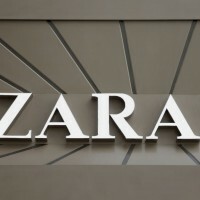 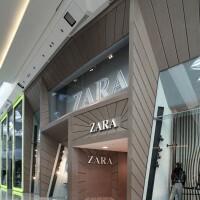 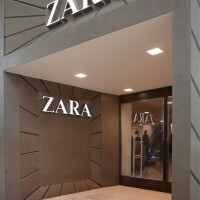 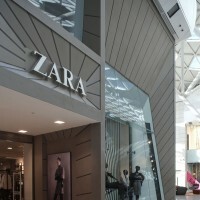 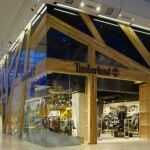 Fashion chain Zara’s flagship store in west London’s Westfield shopping centre has a façade made from panels of HI-MACS material. 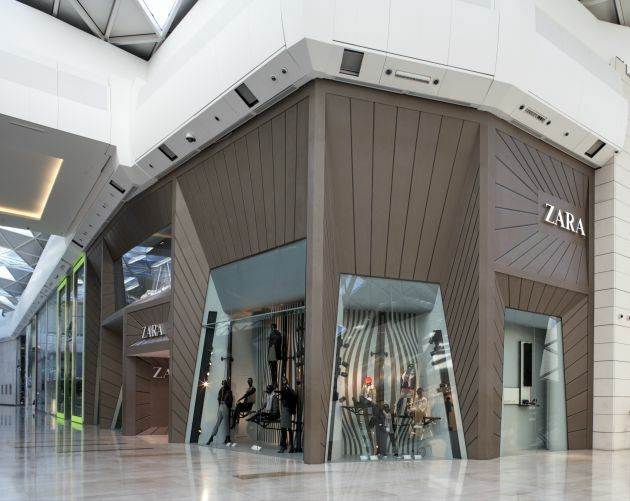 Designer Zara Estudio and fabricators Gruppo Candido Hermida chose HI-MACS in a Toffee Brown hue, and combined it with a metal trim between the pieces. 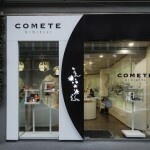 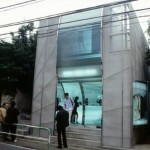 Using 81 panels of HI-MACS and 3 sheets of steel, the angles and 3-D shapes allowed them to create an intriguing effect.